Model Exchange: equations and events are exported so that a third party can solve them using a global integrator. This part of the standard is not supported by EcosimPro or PROOSIS. Co-simulation: The model is exported as a black box that has a series of inputs and outputs and its own integrator able to synch with a master in charge of managing the simulation and exchanging data among the different FMUs. This part of the standard is the one supported by both EcosimPro and PROOSIS. EcosimPro 5.6 and PROOSIS 3.8 introduced the ability to export models following the “FMI 2.0 for Co-simulation” standard, which lets any use model in EcosimPro and send it for use by third-party tools such as Matlab-Symulink, Dymola, ANSYS, Simulation X, AMESim, etc. 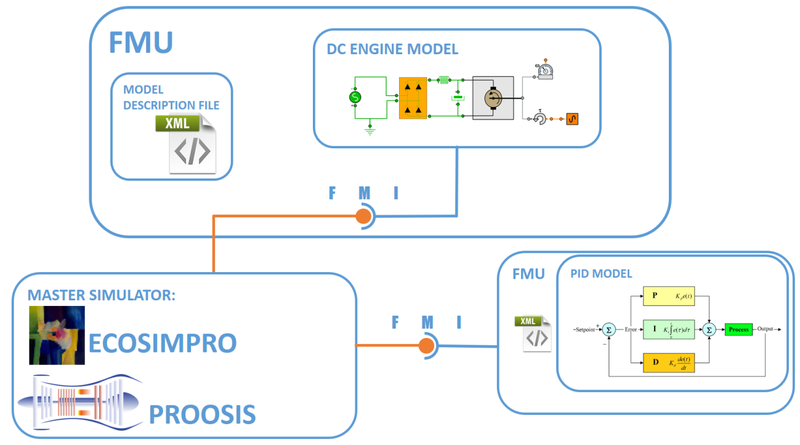 For more details on how to generate FMUs or use FMUs with EcosimPro or PROOSIS, we encourage you to read the chapter on FMI in the EcosimPro and PROOSIS manual. Verification of the ITER distribution system (FEDCS) that supplies coolant to the cryogenic pumps. Assistance in the development of the control system, providing information on the system dynamics. The cryogenic pumps are used in high-vacuum applications and consist of an internal surface (cryogenic panels) cooled to low temperatures where the gases and vapors condense. The gas molecules are immobilized on these surfaces, thus reducing the pressure within the system. In the specific case of ITER, the cryogenic pumps serve two purposes: firstly, they are used downstream from the mechanical pumps to reduce the pressure in the vacuum vessel down to adequate pressure conditions and, secondly, they adsorb the gases from the plasma during reactor operation. Because of the intrinsic difficulty involved in trapping helium particles, the surfaces need to be cooled to a very low temperature (4.5 K). In addition, every so often deuterium and tritium particles are adsorbed with the helium particles. Those particles will subsequently be recovered and treated in the tritium plant so they can be put back into the system. Therefore, the pumps operate in a constant cooling-pumping-heating cycle and are within a temperature range of between 4.5K during the pumping, and 470K during one of the regeneration scenarios. The FEDCS control system has to operate the clients dynamically in such a way that they comply with the operating requirements of the plasma, taking the correct regeneration of the pumps into account at the same time. Having a dynamic model available has two main advantages: first, it can be used to verify the behavior of the FECDS elements that operate together and second, it can be used to design and verify the complex control system required for correct operation. One of ITER Organization’s goals is to develop an integrated simulator of the different systems making up the ITER experimental reactor under construction in Cadarache (France). The simulator is meant to bring together the individual simulators developed in the different systems and integrate them. The final purpose of the integrated simulator is to support the commissioning of ITER and the training of operators. The ITER team responsible for the cryogenics system has been working for some time on developing models that can verify the design, design advanced control algorithms and test the control with hardware simulations in the loop. With this aim, the simulation department at EAI has developed dynamic models of the circuits that cool the ITER magnets and initial models for the cryogenic pumps and their distribution. Because of the complexity of the system, IO has proposed creating a distributed simulation platform that can integrate models from the different subsystems and simulate them jointly. To achieve this goal, EAI developed some particular features in EcosimPro in 2017 to allow distributed simulation of these highly complex models. In the framework of this project, EAI endowed EcosimPro with the capability of generating OPC UA servers from the tool itself. This lets models developed in EcosimPro connect to other tools that have an OPC UA interface and create a powerful distributed simulation platform. Similarly, a mechanism for synchronizing models has been developed that links up many different systems so that they can be simulated all together as a whole, with the results displayed in EcosimPro in a unified way. A beta version of the Aircraft Systems Simulation Toolkit for PROOSIS is ready, and will soon be commercially available to simulate the thermo-fluid systems of aircraft, such as: the pneumatic system (environmental control ECS), hydraulics (fuel, oil) and steam cycles (cooling, bottoming cycles, etc.). 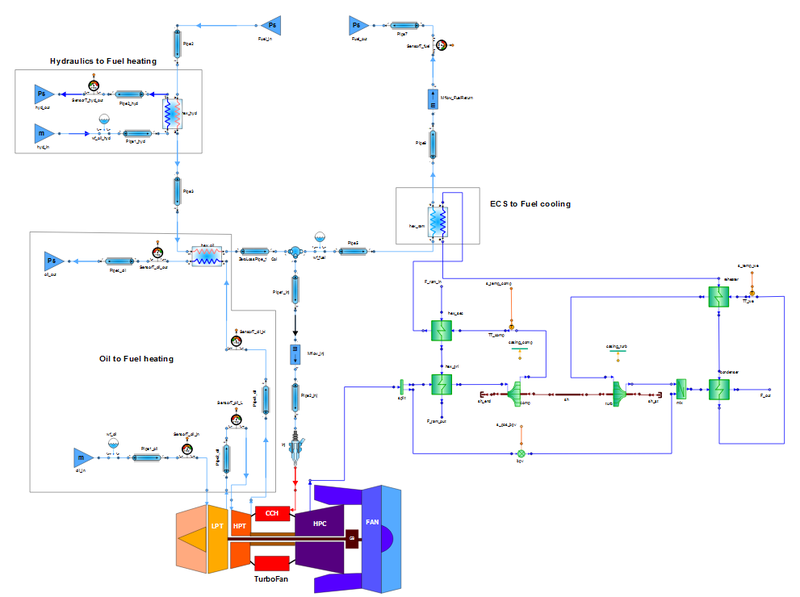 The libraries included in the toolkit are compatible with the TURBO library for simulating gas turbines, therefor making it possible to simulate the engine along with the systems it interacts with: fuel feed systems, oil coolant loop, air bleeding system and the ECS, etc. and of course, the thermal interactions between them. The toolkit shares the TURBO library’s philosophy in terms of modelling and scope. That makes it a useful tool for analyzing the thermodynamic cycle by making it possible to run design point studies (including all the normal calculations in these analysis: parametric, optimization, Monte Carlo, etc.) as well as off-design simulations of a particular system (static calculations and dynamic simulations). For dynamic simulations, the libraries include the most significant transient effects (slow dynamics). The modelling flexibility (any thermal-fluid system) along with the variety of possible calculations make PROOSIS-Aircraft Systems a very useful design tool to integrate the different aircraft systems (thermal management). * New classes for linear algebra. * Solving linear systems of equations and obtaining eigenvalues and eigenvectors with new classes. * Full support of FMI for co-simulation. * New object editor more powerful. * New Aircraft Toolkit simulation. * Modelling complex cryogenic systems in EcosimPro. * Axial turbomachinary performance-aerodynamics integration in PROOSIS. * New equations solver for linear and non-linear equation systems. * Improved file comparison tools (ascii and binary HDF formats). * Better automatic documentation from libraries. * Visualisation of dependencies in a workspace. EcosimPro 5.10 has been released today with new capabilities that make it state of the art software for modeling and simulation. Many enhancements have been made, including new and faster solvers, new multi-instances editor that improve the capabilities of use of schematics, full co-simulation support using standard FMI 2.0, new classes for matrices arithmetic, an improved automatic testing tool of models and libraries, real-time capabilities, etc. – New multi-instance editor in the schematic that enables editing several objects simultaneously and intuitively. – Importing/exporting of models using standard FMI, improved to make it multi-process. – New transient solvers BACKEULER, BACKEULER_SPARSE (implicit fixed-step Euler) and RK45 (explicit variable-step Runge-Kutta-Fehlberg) are now available. Some of these are optimised for real-time. – New linear equations solver that speeds up simulations by up to 30%. – More real-time capabilities for monitoring all the integration steps of the simulation and detecting bottlenecks (graphic monitor of real-time compliance, optimised residues function, etc). – New matrix classes that allow matrix arithmetic and vectors like in Matlab. – Improved Automatic Testing tool, more powerful and intuitive. – Improved HDF5 file comparer for navigating through the differences more quickly and intuitively. – Functions for converting real numbers to binary and hexadecimal. – Improvements to EDictionary and ESet containers to allow duplicates. – New management of page size and margins in schematics. – Improved graphic simulation monitor with more options for a more user-friendly experience. In case you have up to date the EcosimPro maintenance, please check your download area to get the latest installer packages. PROOSIS 3.10 has been released today with new capabilities that make it state of the art software for generating aeronautical simulation models. 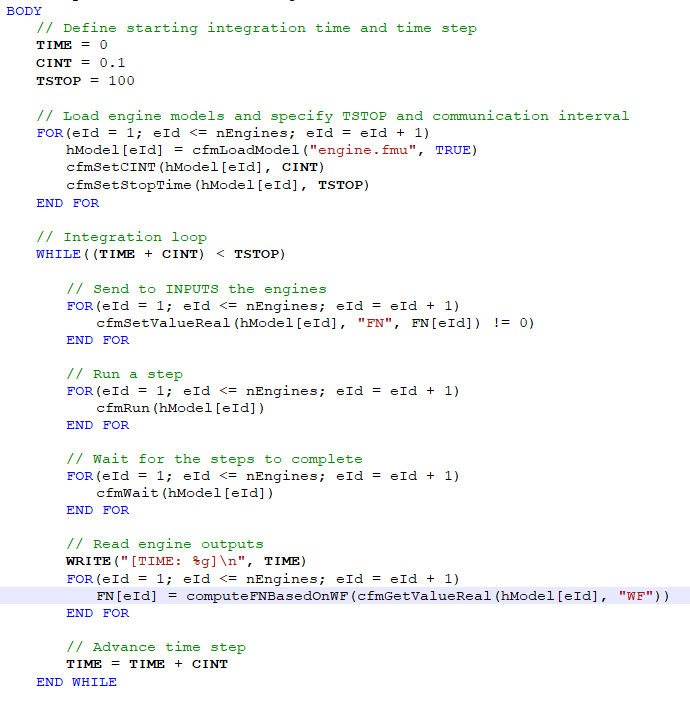 Many enhancements have been made, including new and faster solvers, new multi-instances editor that improve the capabilities of use of schematics, full co-simulation support using standard FMI 2.0, new classes for matrices arithmetic, an improved automatic testing tool of models and libraries, real-time capabilities, etc. Besides, more than 100 SPR (software problem reports) have been solved from previous versions. In case you have up to date the PROOSIS maintenance, please check your download area to get the latest installer packages. It has been released the version 1.3.5 of LPRES library with more components for modelling space propulsion systems. The LPRES library is built to emulate the elements of the professional ESPSS toolkit. A 3-day introductory course to modelling space propulsion systems with EcosimPro and its toolkits will be given in Madrid from November 14-16, 2017. EcosimPro has different toolkits for the modelling of launchers and satellite propulsion systems: ESPSS, FLUIDAPRO and LPRES. This course will show how to model typical propulsion systems in an efficient manner. 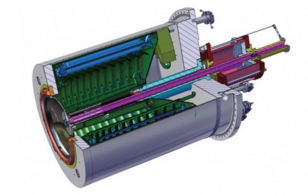 These toolikts are used today by many companies worldwide to design propulsion systems (e.g. ESPSS is the official tool of the European Space Agency). The course will cover test cases such as: priming simulation in two-phase piping networks, startup and shutdown of a rocket engine, design and off-design of rockets, coupling of the propulsion system and the control system, physical modelling of typical components (e.g. pipes, turbo-machinery, combustors, nozzles, etc.) and many more. Download course program in brochure: Modelling Space Propulsion Systems with EcosimPro. A 3-day introductory course to modelling gas turbines with PROOSIS will be given in Madrid from October 24-26, 2017. The course will focus on the modelling and simulation of aeronautical propulsion systems and on acquainting users with the wide range of calculations that can be done with PROOSIS. PROOSIS is used to model 0D and 1D aeronautical systems. During the course the students will model a complete turbofan and perform the corresponding analysis: single design, multi-point design, optimisation, steady state calculation, operating line and a complete transient mission with the engine. 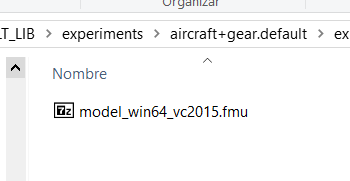 In addition, multiple ways to export the engine model to other platforms using international standards such as ARP-4868, FMI, C++, Excel, etc, will be studied. After this course, students can begin to model aircraft engines with PROOSIS with optimal efficiency. Download course program in brochure: Modelling Gas Turbine Engines with PROOSIS.